What cat lover among us hasn’t at least once taken in a homeless kitty? How about 158 of them, plus 23 of their exotic cousins — lions, tigers, cougars, and bobcats? 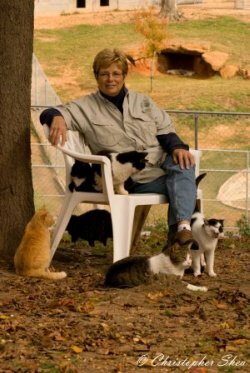 That’s what Kay McElroy, the founder, president, and general factotum of Cedarhill Animal Sanctuary, has done. 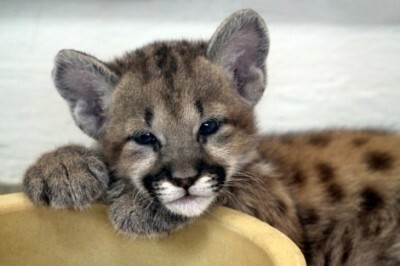 One day in 1987, McElroy, a former schoolteacher, was living near Caledonia, Mississippi, when she noticed an ad in the local newspaper: “Six-month-old cougar for sale – $1000.” She had never seen a cougar, so out of curiosity, she drove to the address given. A man led her to the backyard. There was a half-starved, cowering, miserable young cat chained in a pen. McElroy knew she had to help him. McElroy had to learn very fast how to care for exotic cats. More and more came – each one’s story worse than the previous one. 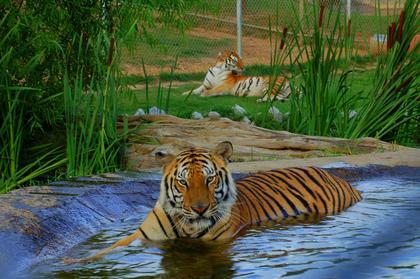 Big Al, a tiger, had belonged to a former breeder of exotic animals who had kept Al in an underground cement bunker. K.C., a wounded cougar, had been abandoned in 10-degree weather by owners who moved away and left him with no food or shelter. Friday, a two-month-old lion cub, had been dropped off near death at a veterinarian’s office; her owners had starved her to keep her small so she could be marketed as a “miniature lioness.” Gunther, an elderly male lion, had been caged by a roadside variety store; the owners used to poke him with a pole to make him roar for the customers. “I soon realized that the problem of abused or unwanted exotic cats was bigger than my 20-acre backyard,” McElroy says. “So I am active in working on legislation to protect exotic animals who are bred and sold – totally legally – to hobbyists who usually have no idea how to care for them. Eventually the owners have second thoughts and get rid of the animals. Some are sold for canned hunts. The few that are lucky end up in sanctuaries. As for Cedarhill’s formerly homeless domestic pussycats, some have the run of the house or barn, but most live in a huge cat-friendly enclosure, with temperature-controlled little houses for shelter. And McElroy has been unable to refuse several other animals who had no place to go – dogs, ponies, potbellied pigs, coyotes. In today’s economy, many sanctuaries have had to close. “When I feel discouraged, I go out and visit Little Stevie, our deaf and blind domestic kitty, who is usually playing with his favorite ball on a string. Stevie just accepts his life and exhibits such happiness, Maybe he was sent to Cedarhill to teach me how to cope,” says McElroy. 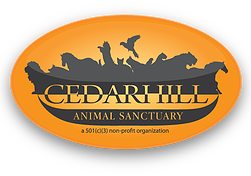 Visit the Cedarhill website or donate to the sanctuary here!